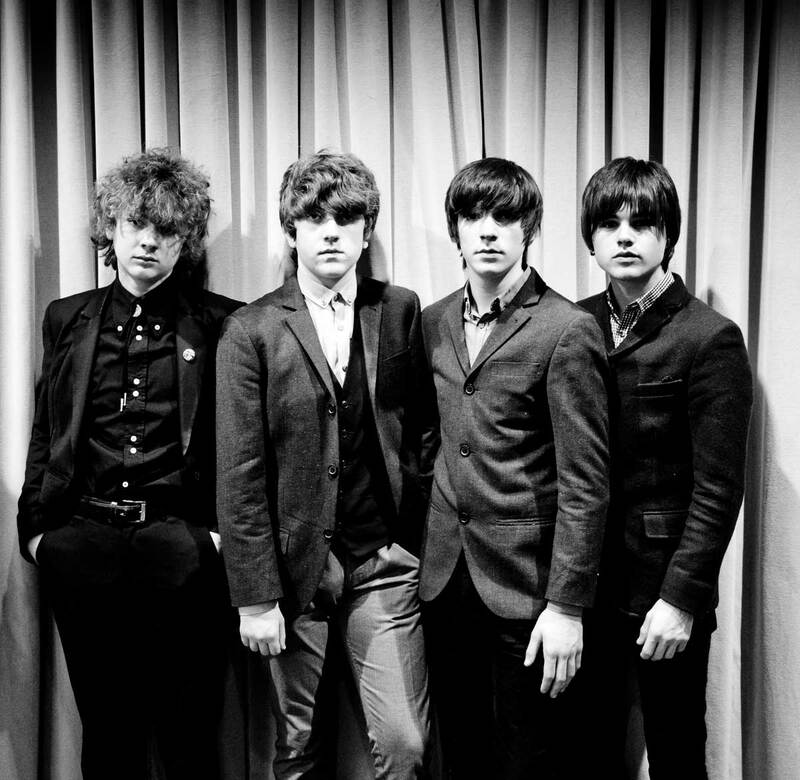 The Strypes are an Irish four-piece rock band from Cavan, Ireland, formed in 2011 consisting of Ross Farrelly (lead vocals/harmonica), Josh McClorey (lead guitar/vocals), Peter O’Hanlon (bass guitar/harmonica) and Evan Walsh (drums). The band played the local scene with various members switching parts as they searched for their sound. They draw inspiration from 60’s blues boom and 70’s pub rock bands such as Dr. Feelgood, Eddie and the Hot Rods, The Rolling Stones, The Yardbirds, Lew Lewis and Rockpile as well as the original bluesmen and rock ‘n’ roll artists such as Chuck Berry, Bo Diddley, Howlin’ Wolf and Little Walter, among others. The band members’ current ages are 16 to 18 years. The band, with a shared love of blues and rhythm and blues music were formed in the town of Cavan, Ireland. After several months gigging around their hometown, the band began playing clubs and pubs around Ireland, playing sets mixing original material with rhythm and blues covers. Their set of fast-paced, gritty, garage rock “speed blues”, which mixed the powerful approach of Dr. Feelgood with the intense rave-up format of The Yardbirds, quickly became well received by crowds across Ireland and their reputation as a live act grew.